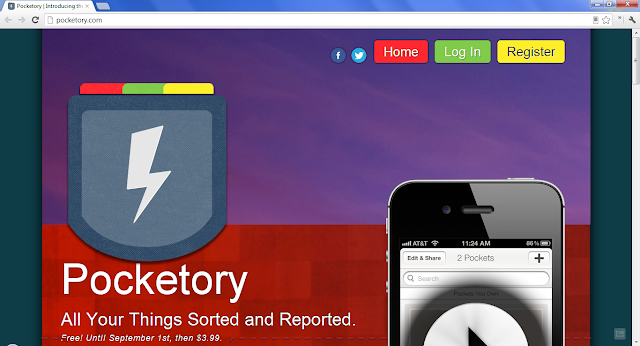 Pocketory is a collaborative inventory service for iOS and web that helps you organize and share your collections and things. Some stand out features are team synchronization, barcode scanning, and online product search. You can then share and publish your collection as well as create PDF reports. This will be useful for small businesses, home insurance needs, research, shopping, and so much more. Register today and follow them on Twitter and Facebook.